We take your privacy seriously and will only ever email our latest news, tips & offers. When an accrediting organization certifies a company, practice or institution, it lends a certain legitimacy and validation to that particular entity. Companies don’t put themselves through the process just to make themselves feel better; there are many benefits to being certified. 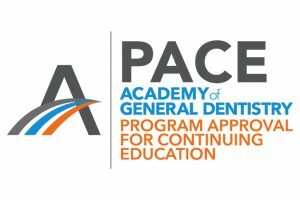 Recently, the Academy of General Dentistry certified TNT Dental through their Program Approval for Continuing Education (PACE). TNT is now the only PACE-approved organization with an 18-year track record of helping dental practices grow. And, we are in a unique position to share this expertise with you. By requesting information, you’re allowing TNT Dental to occasionally email you helpful news, tips & offers. You can unsubscribe anytime. © 2019 TNT Dental. All rights reserved. Simply enter your information below to gain immediate access.